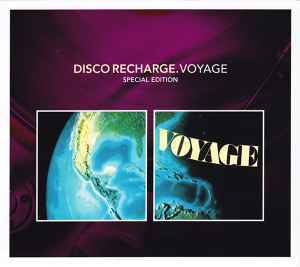 This special edition includes the original segued Voyage album as well as the rare first volume of the Special Instrumental album which includes instrumental versions of tracks from Voyage as well as the follow up album Fly Away. Disc 2 of this special edition is packed with alternative mixes, edits and other rarities including the pre Voyage rare grooves "West Coast Drive" and "Please Love Me Again" by V.I.P. Connection massively collectible in their own right. All Tracks transferred from the original tapes. 1-1, 1-3 to 1-5, 1-8 to 1-13, 1-16, 2-1 to 2-7, and 2-10 Music Code Ltd.
1-6, 1-10, 14, 1-15, and 2-13 to 2-15 Copyright Control. 1-2 and 2-11 Universal MCA Music Ltd / Copyright Control. 2-8 and 2-9 Primetime Production Ltd.